If you are any way spiritually inclined no doubt you’ve heard of the power of affirmations. You’ve probably tried them for yourself and had some success with them but it’s been somewhat hit and miss. 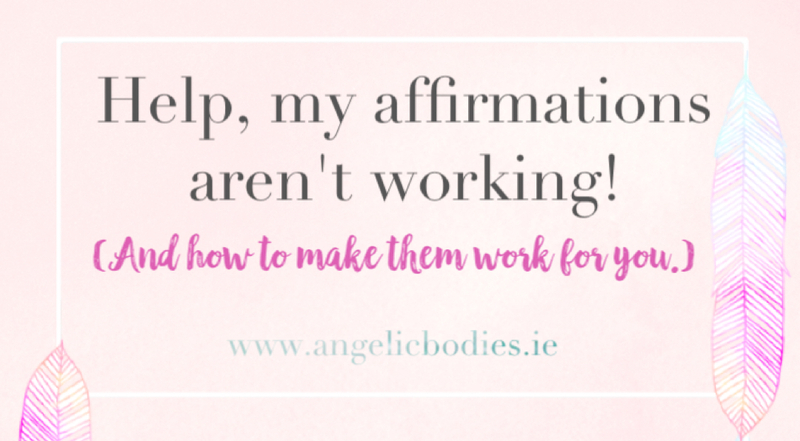 There are so many benefits to using affirmations – positive focus, reduced stress, mindset mastery, manifestation, gratitude, the list goes on, but you probably know that already! What you may not know is how to get the most out of your affirmations to ensure they work for you. I’m here to demystify affirmations, explain why you should use them and how to get the most out of them. In today’s video you’ll discover how to use affirmations effectively to get results you want. How often you need to say your affirmations. Why your affirmations are not working and what to do. The most powerful way to phrase your affirmations to get best results. How to supercharge your affirmations and start manifesting your desires. What to do if you keep forgetting to say your affirmations. Do you use affirmations on a regular basis? What is your go to affirmation that you use every day?